Modern electronics are based on silicon. During the 20th century, this material enabled the development of computers, cell phones and modern communications. However, in spite of the tremendous impact that silicon has had in our lives, there are many things that silicon does not do well. For example, it does not emit light, which prevents its use in general illumination applications. At the same time, the maximum voltage it can handle quickly drops with operating frequency, which increases the size and reduces the performance of any electronics that requires high voltage, such as the electronics used in electric vehicles, inside laptop power adapters or to control the electric grid. Gallium Nitride (GaN) is a revolutionary new semiconductor material with unique properties that is quickly changing our world. It can be found in cell phones, LED light bulbs and TV screens, thanks to its efficient light emission. 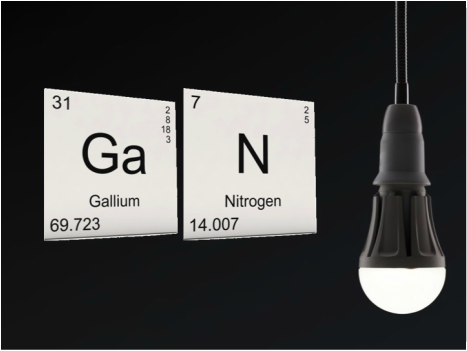 In addition to the more than $15+ billion market in solid state lighting, GaN is also changing electronics and energy management, a $60+ billion market that will change forever how we use energy. Power electronics is used any time the waveform or voltage of electricity needs to be changed. It is the key technology powering the data servers that enable the internet, the inverter that powers the electric cars, or the controllers of industrial motors around the world. It is so ubiquitous, that an improvement in its efficiency could save $900 billions in 2025... and that is exactly what CEI's technology does. CEI has been working since 2012 on developing the most advanced and high-performance GaN power electronic chips in the market. With them, we have been able to reduce the the volume of many power electronic systems by x10, while cutting the power losses by at least 50%. The result is a new generation of power electronic systems ready to change the way energy is used in the world. 100% compatible with Silicon CMOS fabrication. Normally-on and Normally-off GaN transistors on the same chip to enable unprecedented circuit integration.